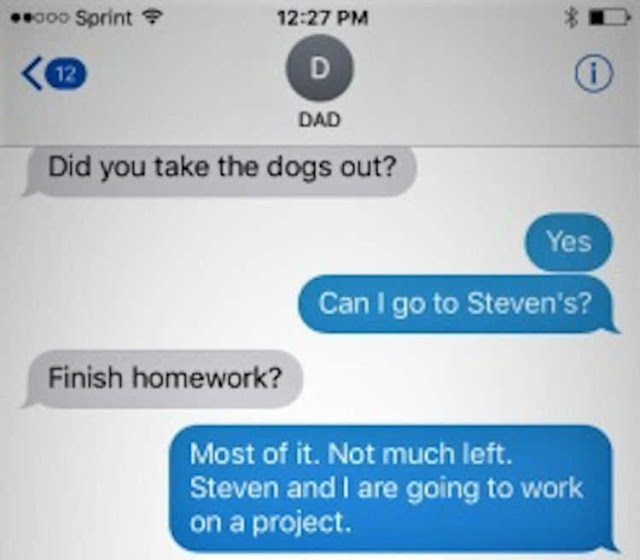 Home » other » Dad Receives One-Letter Text From His Son. Calls Him Immediately For THIS Important Reason! He created the X Plan. Bert, a minister, started a blog to share his parenting tips and insights on raising children. The dad of three has learned a lot from working with kids who are in treatment for various addictions. The kids in the addiction support group told Bert they often stayed in uncomfortable and potentially dangerous situations, simply because they couldn’t find an easy way out. It was then that Bert realized how important it is to provide kids with escape routes in dangerous situations. As hard as parents try to raise their children to make smart decisions, kids will inevitably end up in tough situations at some point or another as they get older. Bert wanted to let his kids know that they have the support they need to make a quick and safe exit when they find themselves in a potentially dangerous or uncomfortable situation. That’s why he created the X Plan. Bert gave his kids a secret text message code that they could send him if they needed to get out of a bad situation. If they sent him the code, no questions asked, he would pick them up immediately. Bert’s son Danny ended up using the plan while at a friend’s house. 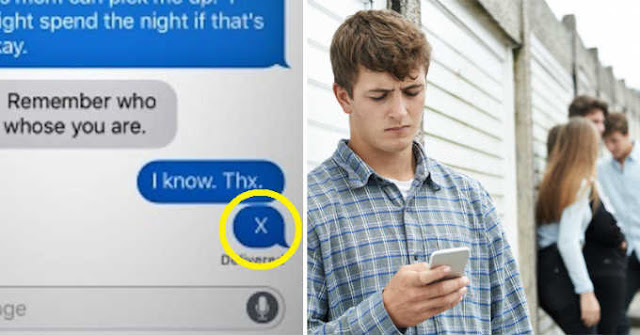 Later that night, his son sent another text with just a single letter – X. As soon as Bert saw the text message, he knew his son needed to get away from his friend’s house immediately. Bert explainedthe X Plan on his blog. The X Plan was set up to help Danny, or any other kid, alert a family member to let them know that something is up and they need an immediate exit plan. Sending a text that looks like a typo helps put the plan in motion, without alerting a friend standing nearby. Bert emphasized that the plan is meant as a safety measure, and the kid doesn’t have to say a word to their parents about the situation if they don’t want to. They will never get in trouble for using the code. It’s a way to avoid peer pressure and leave an uncomfortable situation before things get out of hand. Parents everywhere can use Bert’s X Plan asan inspiration to create their own plans, in order to give their children a safe exit plan when needed.